Larry often joked he was born in a zoo . . . Kalamazoo, Michigan that is. He was born on July 31, 1919. Larry's father was a contractor who remodeled businesses and homes. His mother, a school teacher, stayed at home to rear Larry and his younger brother Rique. While other boys were killing snakes, Larry was fascinated by them and soon began collecting and caring for a variety of local snakes. Even though this was during the Great Depression, his parents were extremely supportive and his father used his carpentry skills to create homes for the reptiles. The backyard soon became an attraction worthy of the two cent admission charge. ​Larry’s childhood interest in reptiles continued to flourish into his later teens. He began trading with other collectors around the United States. To share his growing wonder of the animal kingdom with others, he rented a building on Lovers Lane in Milham Park and opened his reptilium to the public in 1935 while he was still in high school. 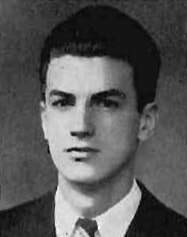 Larry's 1938 yearbook picture from Western Michigan University. Revenue from the long hours he put in at this business allowed Larry to attend Western Michigan University. Following the writing of a paper on the care of imported snakes, famous animal collector Frank “Bring ‘em Back Alive” Buck contacted Tetzlaff to offer him a job at the 1939 World's Fair in New York City. This would set Larry on a path that would take him from searching for rattlesnakes in Portage Creek in Kalamazoo to swimming after anacondas in the Rupununi River in Guyana. But first, Larry needed to move to New York City. ​can still be seen in Kalamazoo. Top Image on Page: The reptilium in Kalamazoo that Larry opened up in 1935 during the Great Depression while he was in high school. 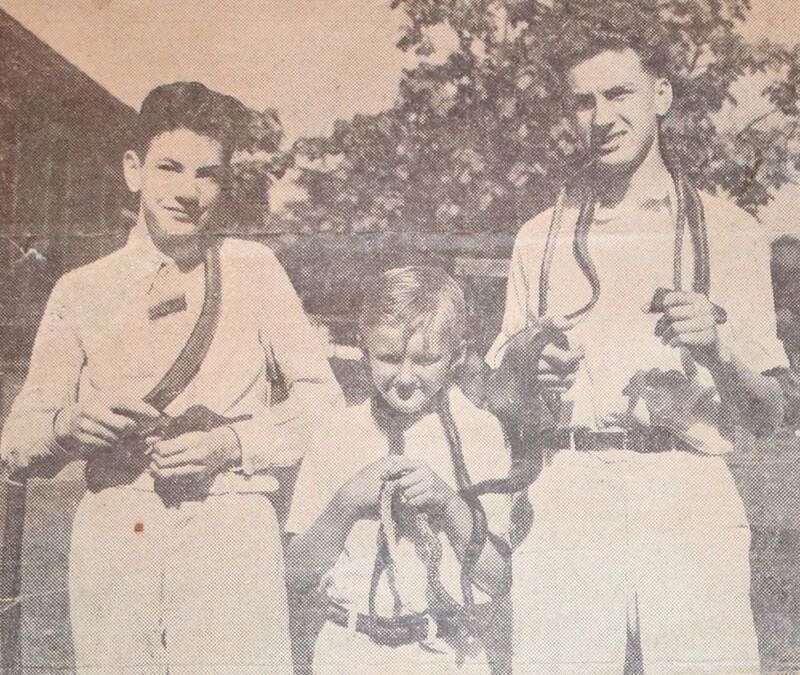 Above: Larry (right) with brother Rique (left) and friend with snakes. Larry shaking hands with Frank "Bring 'em Back Alive" Buck.